Happy Review Wednesday! hope everyone is having a wonderful week so far! its officially cold now here now! it went from HOT to cool and then freezing in 3 days! haha.. Perfect time for a little Oil therapy!! 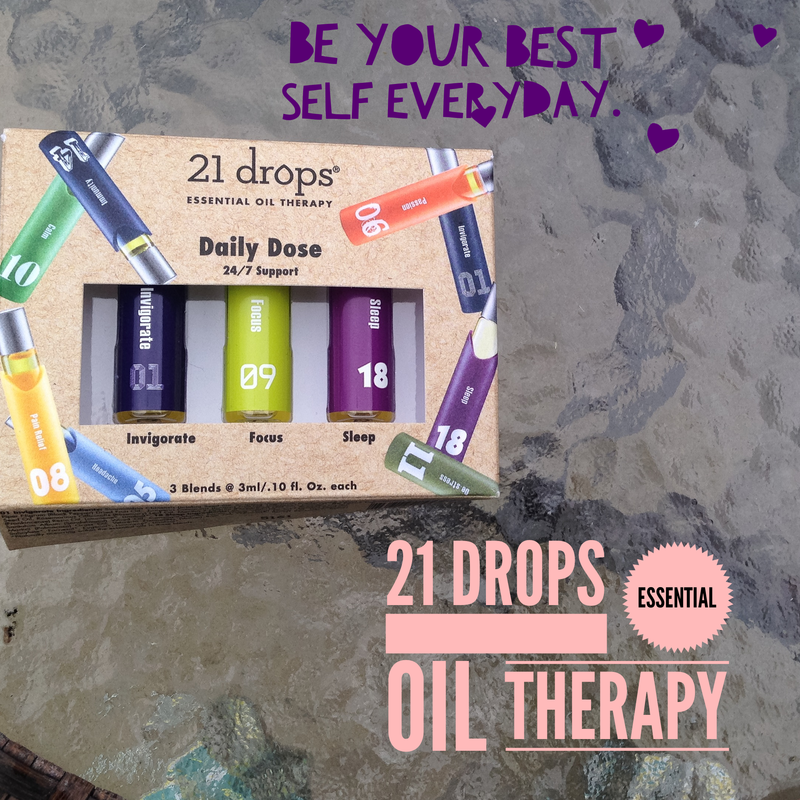 21 Drops‘s Mission is to help people be their best self by offering 21 pre-blended, 100% natural solutions for a healthier mind and body. 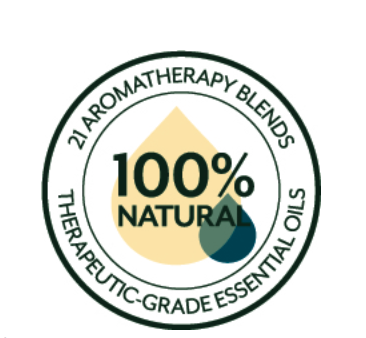 Their oils are 100% Natural and organically grown, as the quality of oils are just as important as the quality of food we put inside our body. depending on your own personal needs you can find out which Oil is needed for you! 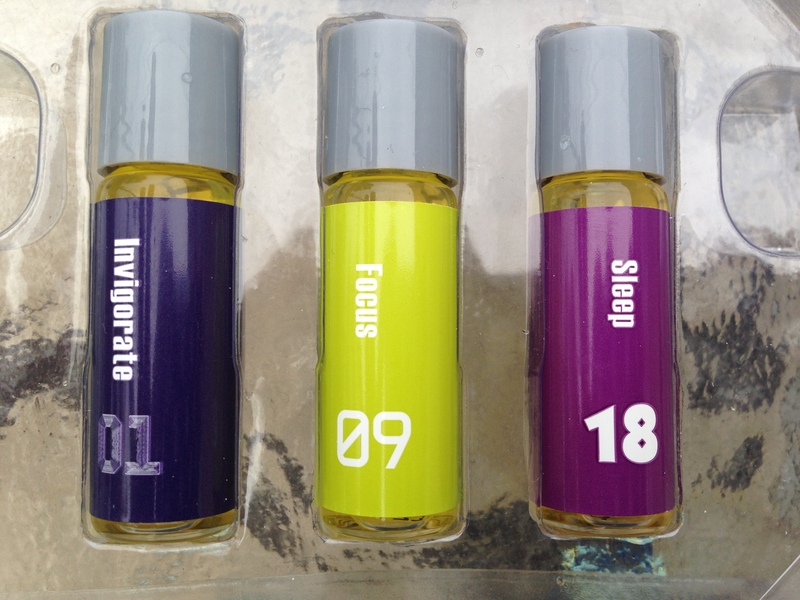 Click HERE to browse the oils. 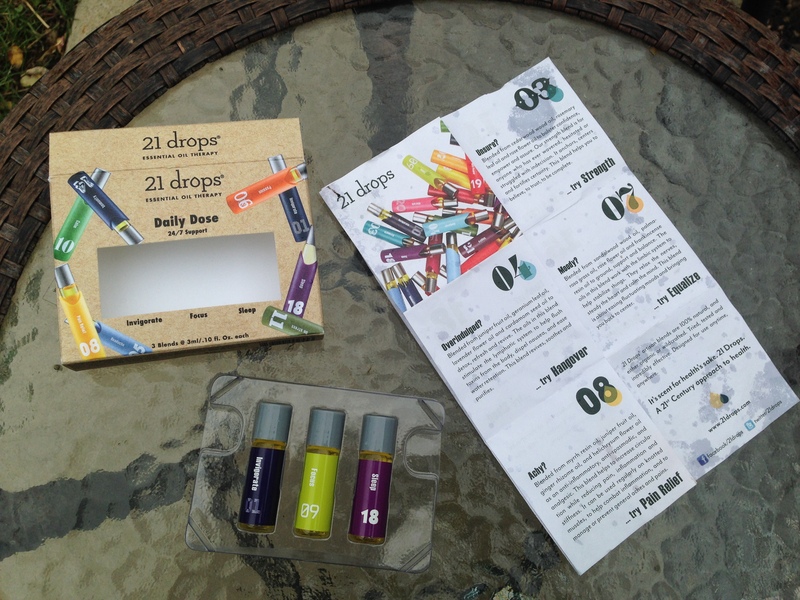 They were kind enough to send me the Daily Dose kit which I have been using for a few weeks now! This Kit is designed to help you on the Go, to get ready get energized and even get a good night sleep! I have been loving this Kit! like I said, in the beginning I was a little bit spectacle as how this kit would help me and now I reach for it daily! 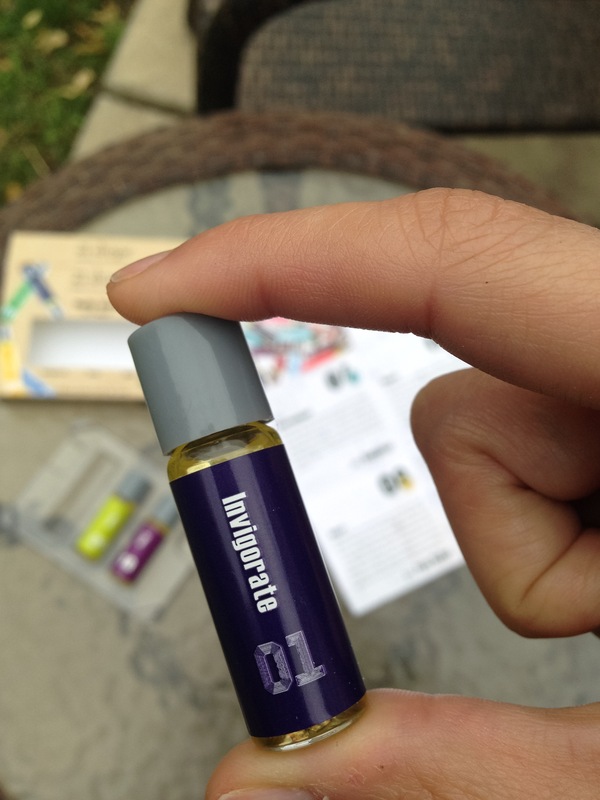 the kit consists of three Oils! which you are supposed to Roll on in a circular motion 5x to wrists,temples and neck and of course Inhale! This Oil quickly replaced my coffee in the morning, as it promises to get you up and going and energized! This Blend is a mix of Black pepper, Cedarwood, Juniper and Rosemary!! and I really did feel it working one me! Focus was perhaps my favorite one.. and I may have overused it! haha… but it was just amazing to me how this helped me with my concentration! there are a lot of distractions for me since I work at home… and well this is just what I needed to help me FOCUS!!! 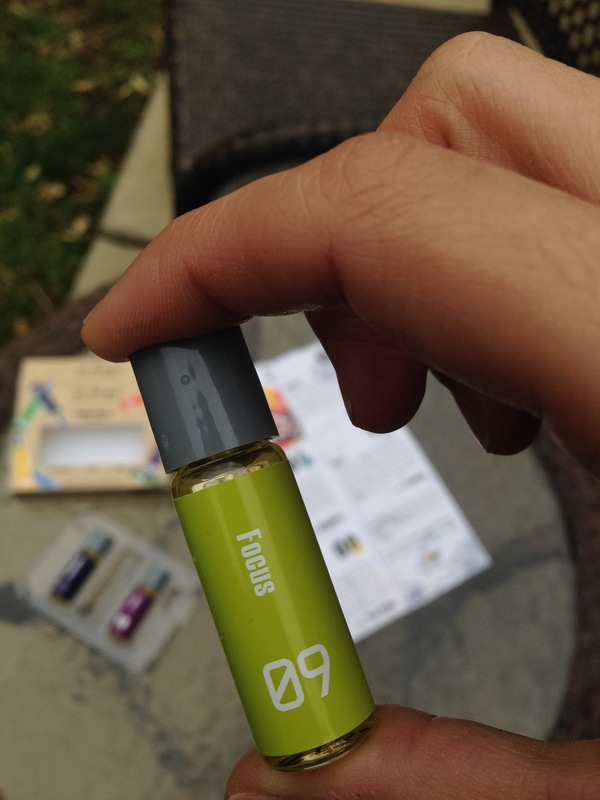 this oil is a blend of Frankincense, Peppermint and Rosemary to induce clarity, promote concentration and sharpen your mind. Honestly after the first two and the extra amount of energy and concentration I had, I didn’t think I was going to need this one… I sleep pretty well usually, but I am a very light sleeper… which means that the smallest noise can wake me up and keep me up.. and once I am up.. its over… I am just up! 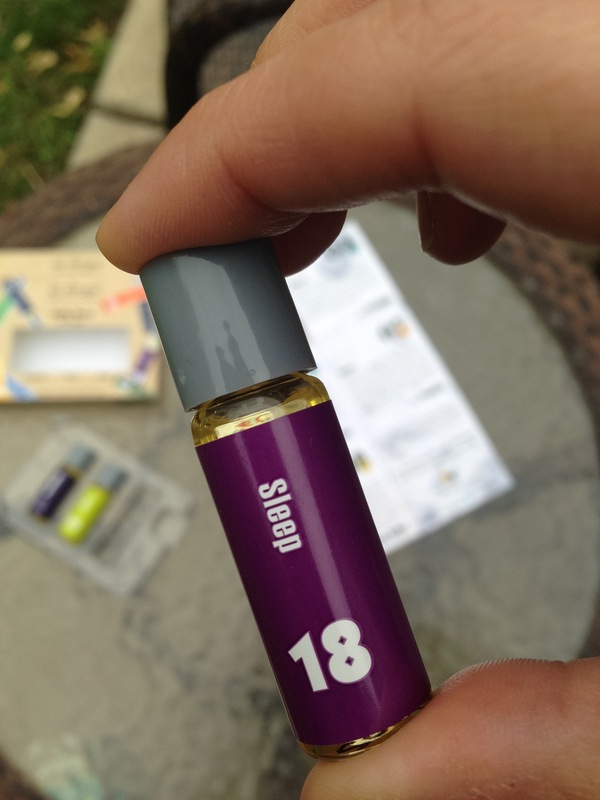 when I applied this oil, it really helped me reach a deeper level of sleep! it wasn’t like a sleeping pill or anything, but the next day or days I felt a lot more rested and i realized that I had not been getting up in the middle of the night!!! so YES to this oil! it is a blend of Palmarosa, Sandalwood, Vetiver and Ylang Ylang to soothe restlessness, quiet your mind and support deep relaxation. and of course as a disclaimer, I am not affiliated with this Brand and I am not going to make any money off any links if you guys buy the products, I just really honestly wanted to share my experience with you! because I really really am amazed that this worked for me!!! alright guys, hope you have an awesome day! thanks so much for reading..as always… YOU’RE WELCOME! Previous My Top 5 October Beauty Products. Will do 🙂 thanks for stopping by!